Back in August last year I was back in South Tyrol shooting their summer campaign. South Tyrol is in the Dolomites in north eastern Italy, and is one of the most beautiful places you could hope to visit. 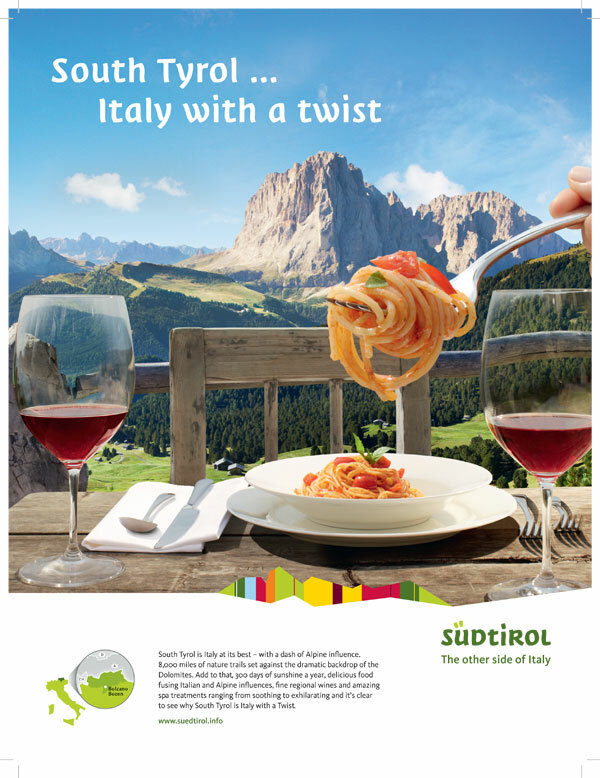 I'd been there a couple of times before on holiday, and was thrilled to be asked to shoot their advertising campaign. The summer campaign has appeared in the FT Weekend and Telegraph Ultra Travel supplements so far and a range of other media across the UK shortly. 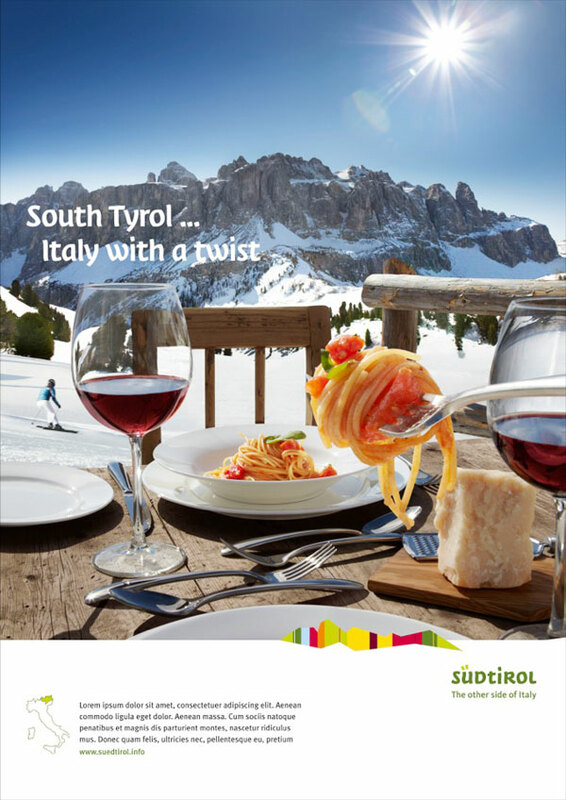 Big thanks to Max, Carmen and Martin at South Tyrol Marketing and Adam at FourBGB for being such great clients. And of course a big thanks to the crew for making it happen: Katie Higson for production and assisting, Nel Haynes for food and prop styling and Stefano Cherubini at Happy Finish for retouching.